Product categories of SINO Wd615 Parts, we are specialized manufacturers from China, Sino Engine Parts, Piston Ring suppliers/factory, wholesale high-quality products of Injector Nozzle R & D and manufacturing, we have the perfect after-sales service and technical support. Look forward to your cooperation! CNHTC Hangzhou Engine Co., Ltd. is a wholly-owned subsidiary of China National Heavy Duty Truck Group Co., Ltd. Founded in 1958. 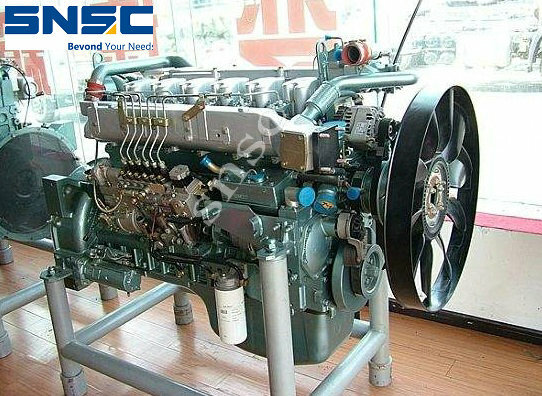 The domestic advanced level of WD615, D10 and D12 diesel engines, T10 and T12 gas engines manufactured by China National Heavy Duty Truck and the internationally advanced engines MC05, MC07, MC11 and MC13 have reached the Euro II-Euro V emission engines with 140-580 horsepower.